The movie immerses us into the theatre world of New York in 1937. Over the course of a week, we see every step as the cast and crew prepare for opening night. And right at the centre is Orson Welles. McKay does an impressive job of playing Welles with energy and presence. If the real Welles was anything like McKay’s portrayal, then you know why Welles could get away with the incredibly risky creative decisions he made. You just want to be near this man and be part of the amazing ride he’s on. On the other hand, once you get to know Welles, he’s not that likeable a person. He regularly commits adultery behind the back of his pregnant wife. He forces his workers to be a part of this deception by having them scream out a code word if his wife finds her way to the theatre. That way he can quickly detach himself from the latest object of his desire and pretend to be the doting husband. He lies to everyone, making them false promises and even more false, yet well-rehearsed, compliments. But most of all he is a coward, getting others to do his dirty work for him, never facing the consequences of his petty whims. Welles may have been an admirable artist, but he was not a very nice man. 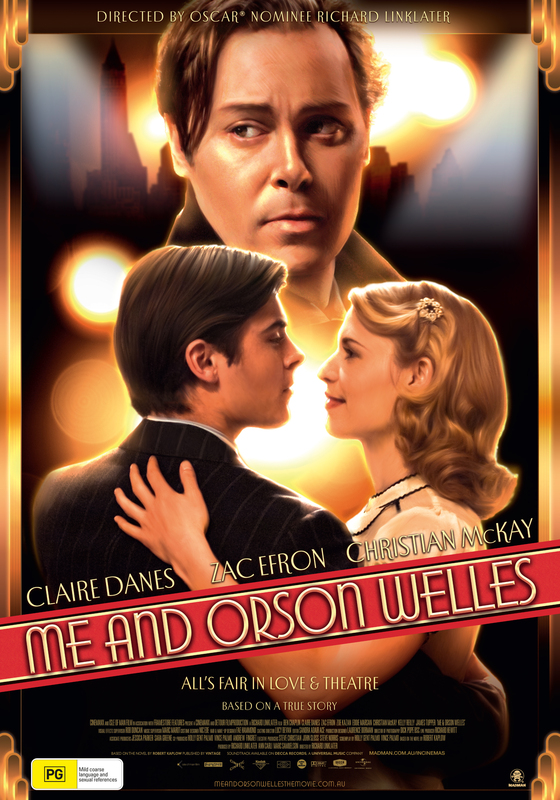 Me and Orson Welles is a great movie if you want to get a taste of life in the theatre. The only problem I had with the film is that McKay absolutely steals the show with his Orson Welles portrayal. The movie is meant to be told from the point of view of Zac Efron’s character, but the character tends to get lost in Welles’ shadow and doesn’t get fleshed out as much as he could. Despite that, Me and Orson Welles is very much worth seeing.